All gardens require a survey before any design work can commence. This ensures that the garden is drawn to scale and minimises errors at the construction stage. If the garden is too large or complex, a professional surveyor will be recommended. An individualised, detailed outline plan of the design is drawn using the survey information. The outline plan will show how all the soft and hard landscape elements will work together in relation to the existing space. 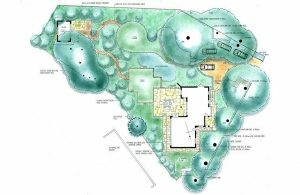 Once the outline plan has been approved by the client, a planting plan is designed. Any necessary building specification documents and construction drawings are drawn up too, if required.